I decided to participate in yet another fun installment called the Thursday Thrift. Perfect right? If you know me… you know I enjoy thrifting. So what more could I ask for than an excuse to post bi-weekly outfits inspired by thrift finds? Here are a few photos of my outfit inspired by a simple thrifted sweater. 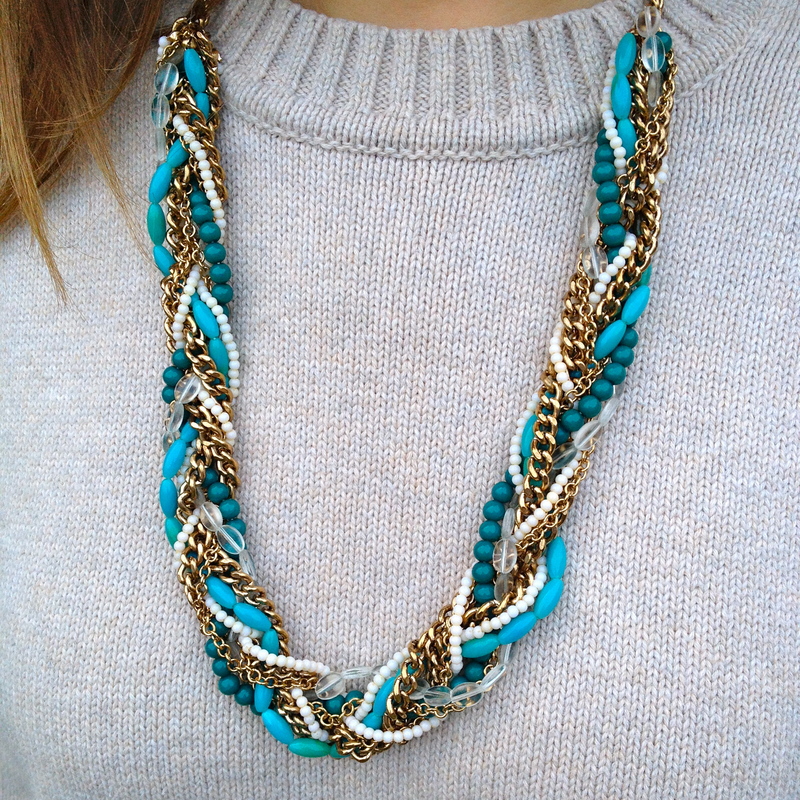 I decided to mix casual with this pretty necklace. Necklace: Forever21. Sweater: Thrift. 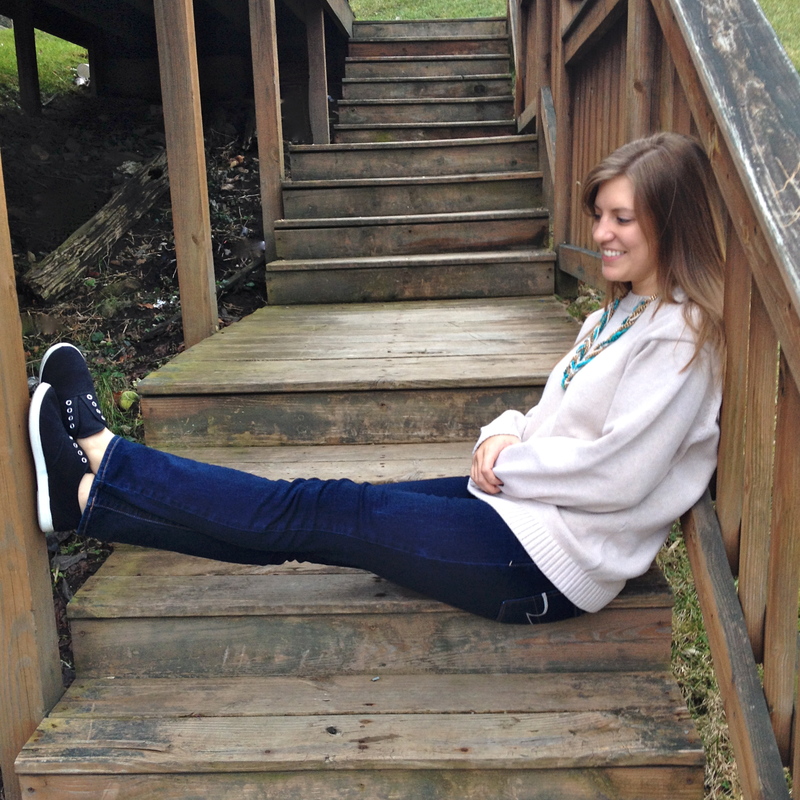 Jeans: American Eagle Outfitters. How would you wear this sweater? What are your favorite styles to mix and play with? So glad you linked up! 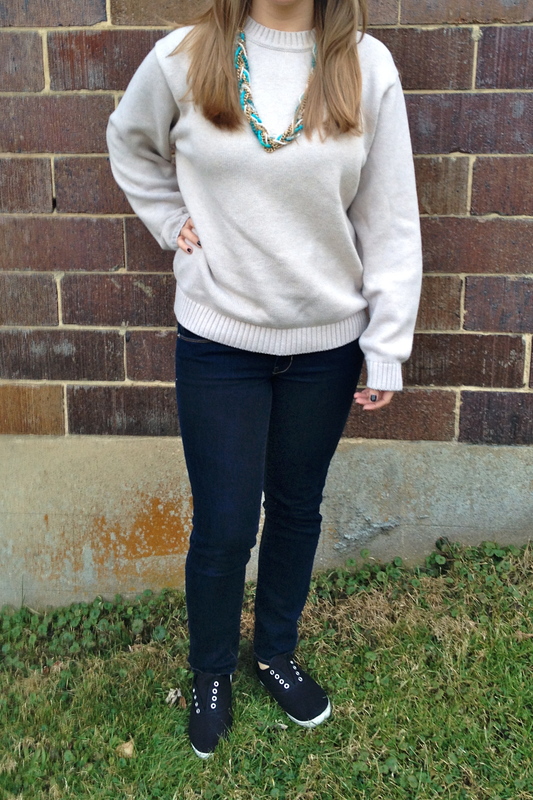 Such a great, comfy looking sweater. I think I would wear it with a pair of jeans like you, or maybe a casual styled skirt. I am a fan of mixing comfy, everyday tops with skirts or dresses.